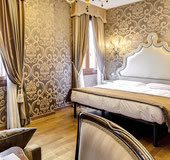 Although the Shadar Hotel Domus Cavanis is only categorized as a 3 star hotel you will find the level of quality and luxury of these 28 rooms to be much higher. 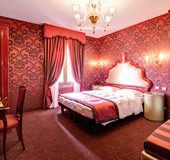 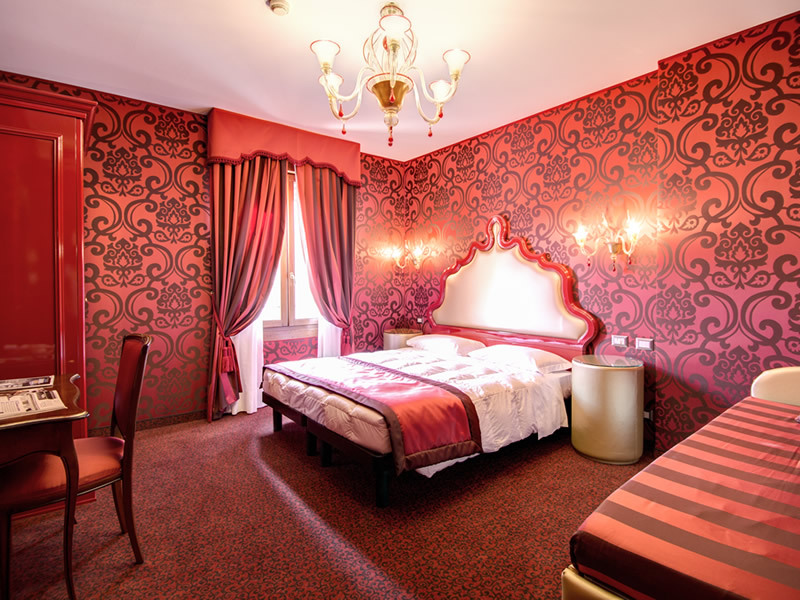 ...each of our single, double, triple or quadruple rooms are adorned with rich fabrics, ornate furniture and glass chandeliers. 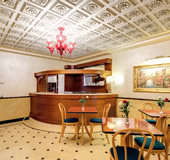 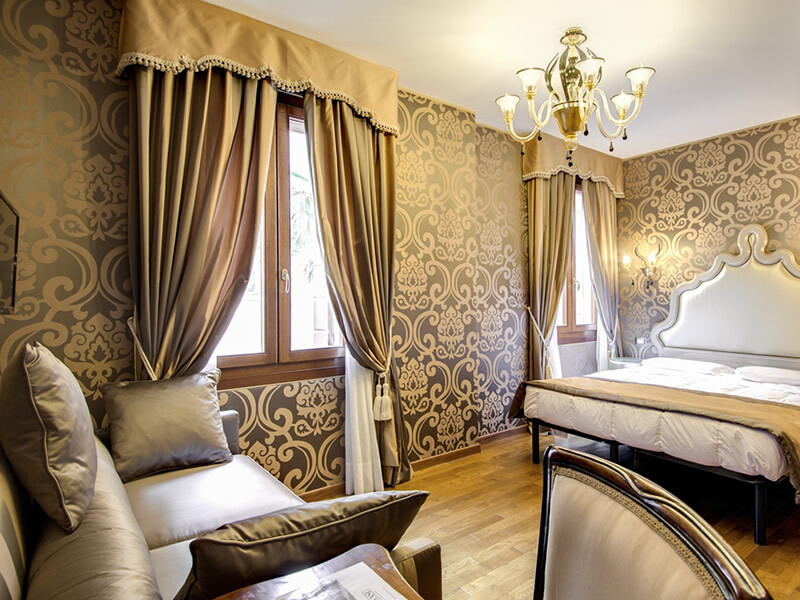 The hotel also enjoys access to a 24 hour reception with express check in / check out and luggage storage services at a nearby sister hotel just a few metres from Domus Cavanis. 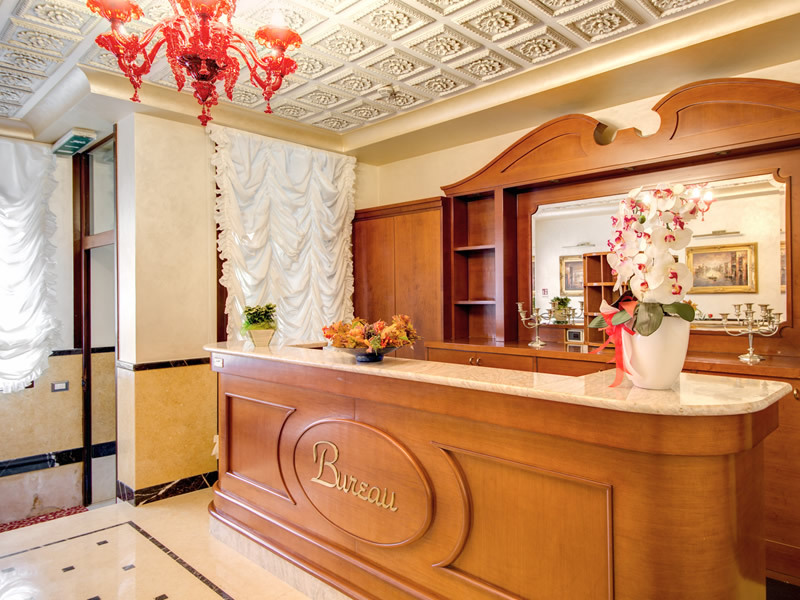 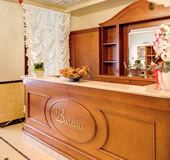 Guests can also use the relaxing garden, hotel bar and childcare services on offer and our highly trained, multi-lingual staff will ensure that you receive friendly and professional care with a personal touch. 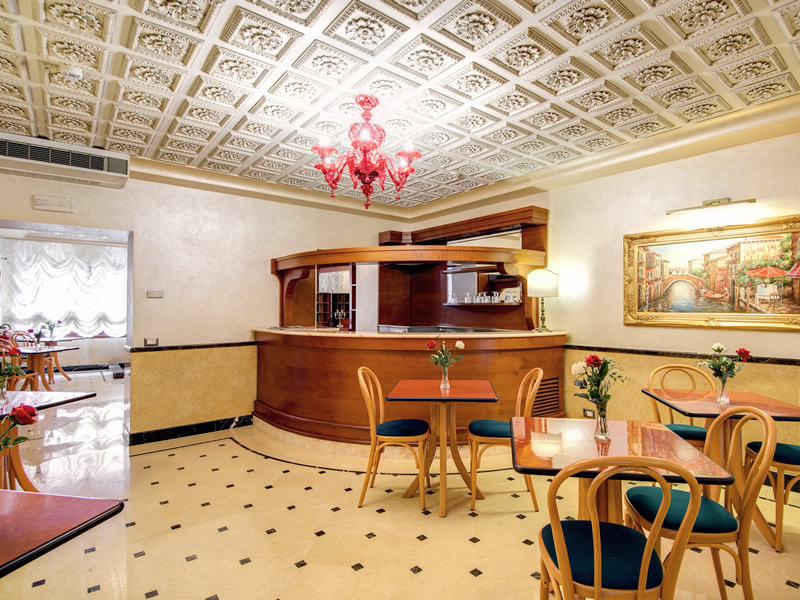 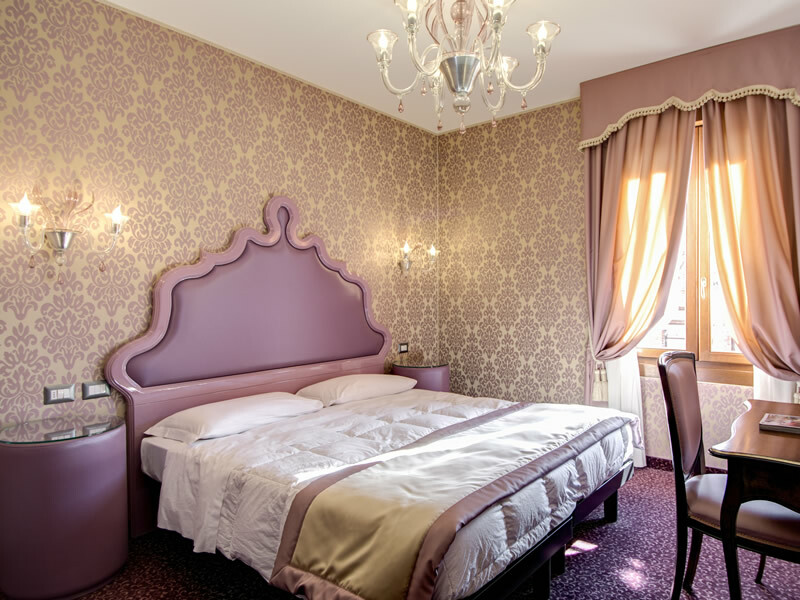 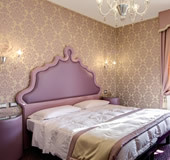 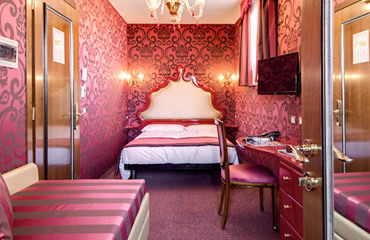 Perfect for those on a budget, the Shadar Hotel Domus Cavanis is also ideally located for those wishing to explore the wonders of floating city of Venice. 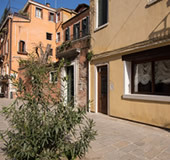 Located in the artistic district of Dorsoduro, the hotel is positioned just 100 metres from the outstanding Galleria d’Accademia with its artistic treasures and just a 5-minute walk from the Peggy Guggenheim Collection. 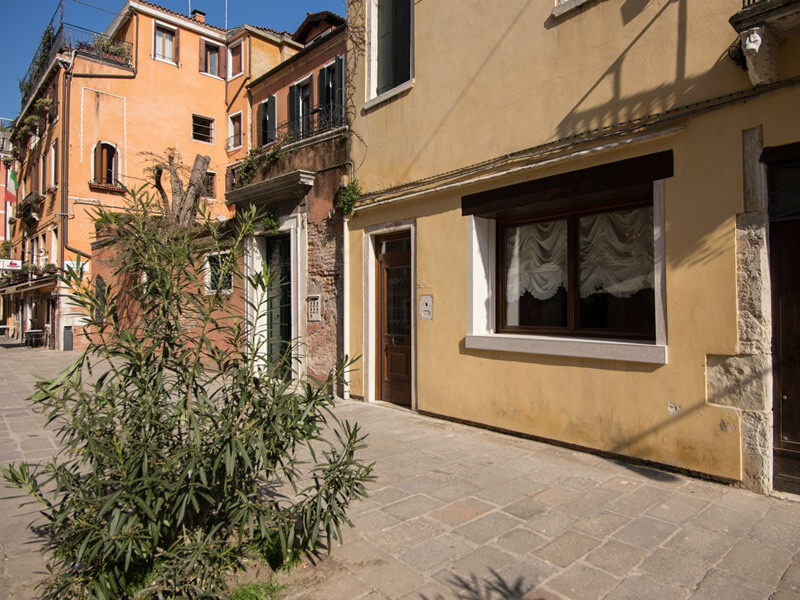 If you enjoy art of a more architectural nature then just across the Accademia Bridge, guests can discover St Mark’s Square with its magnificent Cathedral known as the Duomo alongside the Ducal Palace.